Stockard Investments, Inc. has been building and developing Abilene for over 34 years, working along with the city to bring responsible growth to Abilene. Our goal is to develop properties that will sustain your investment, amenities for family friendly growth and appeal to Abilene's past, present and future. Once a place where cattle roamed and grasses waved in the wind, is now the beginning of new responsible growth in South Abilene. The serene landscape has long been the backdrop where many Texans have and will call home. 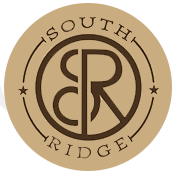 Through the South Ridge Development, your family can be a part of this enduring legacy. This progressive neighborhood is conveniently located south of Antilley Road between Highway 83-84 and the new Memorial Drive. Just located off Industrial Blvd. and Loop 322, Lone Star Ranch is within minutes of award -winning schools, area business districts, neighborhood shopping, services and dining. Lone Star Ranch is a perfect place for gathering friends and raising families. It is a neighborhood like you grew up in, safe - where people stop to say hello. The Lone Star Ranch is also located in the growing Wylie School District. Nestled in this community, is a private landscaped park that includes a swimming pool, pavilion, restrooms and picnic area. With Picturesque meadows of blooming wild flowers, natural ponds, rolling terrain, along with an abundance of wonderful shade trees - these ranch lands are calling for you. At dusk, wild turkey and deer meander down by the tanks and graze in the fields. 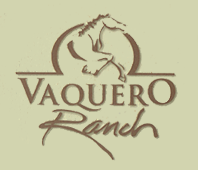 Vaquero Ranch extends into beautiful pastoral landscapes that stretch over 44 acres and offer large acre plus-size lots. 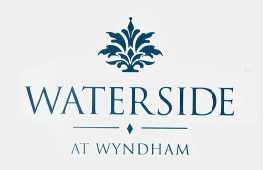 Welcome to Waterside at Wydham, Abilene's most exclusive villa and residential community. You'll notice the difference as soon as you enter Waterside and pass the gatehouse, a striking construction of brick and stone that sets the attitude of old world charm. Waterside is a disctint lifestyle. You'll enjoy the luxury - without the constant maintenance to consume your free time. Waterside is a beautifully landscaped throughout and villa lawn maintenance. 1650 South Ridge Crossing Abilene, TX 79606 | (325) 695-3949| Email: contact@stockardinvestments.com| Copyright © Stockards Investments Inc.| Designed & Hosted by iThink Marketing.